Apply parking brake only and make sure it will hold the vehicle by shifting into a lower gear and gently pulling against the brake. Pump the brake pedal three times, then hold it down for five seconds. The brake pedal should not move (depress) during the 5 seconds. Make sure it will hold the vehicle by shifting into a low gear and gently pulling against the trailer brakes. Failure to perform an air brake check will result in an automatic failure of the Vehicle Inspection Test. Air brake safety devices vary. However, this procedure is designed to see that any safety device operates correctly as air pressure drops from normal to a low air condition. For safety purposes in areas where an incline is present, you will use wheel chocks during the air brake check. With the engine running, build the air pressure to governed cut-out (100-125 psi). Shut off the engine, turn the electrical power on, chock your wheels, if necessary, release the tractor protection valve and parking brake (push in), fully apply the foot brake and hold it for one minute. Check the air gauge to see if the air pressure drops more than 3 pounds in 1 minute (single vehicle) or 4 pounds in 1 minute (combination vehicle) with brake applied. When brake is unapplied, air pressure drops more than 2 pounds in 1 minute with a single vehicle and 3 pounds in 1 minute in a combination vehicle. Begin fanning off the air pressure by rapidly applying and releasing the foot brake. Low-air warning devices (buzzer, light, flag) should activate before air pressure drops below 60 psi. Continue to fan off the air pressure. At about 45 psi on a tractor-trailer combination vehicle , the tractor protection valve and parking brake valve should close (pop out). On other combination vehicle types and single vehicle types, the parking brake valve should close (pop out). Check that the safety belt is securely mounted, adjusts and latches properly. To perform the parking brake check, build air pressure to 120 - 125 psi. Place the transmission into a low gear, release the red tractor protection valve, and lightly "tug" against the tractor brakes. Make sure you explain to the examiner what your are doing: "I will now check the parking brake. To do this, I will start with a fully charged air system, place the transmission into a low gear, release the red tractor protection valve, then lightly tug against the tractor brakes." In some states, you will need to repeat this process for the trailer brakes. If your vehicle is equipped with hydraulic brakes, walk the examiner through the process. You can say: "I will now check the hydraulic brakes by pumping the brake pedal three times. I will then hold the pedal down to make sure it doesn't move for 5 seconds and that the warning light and buzzer stays off." If your vehicle is equipped with electric brakes, you should tell the examiner, "I will now check the electric trailer brakes by shifting into a low gear and pulling against them." The air brake check is a pretty detailed process but it must be performed correctly and in order. Follow all of the steps below and tell the examiner what you are doing during each part of the process. You should study the process and practice many times before taking your exam. You need to memorize the air acceptable air leakage rates. While you are checking for air loss, tell the examiner: "I am now checking to make sure I don't lose any more than 4 psi in one minute (3 psi for non-combination vehicles). I am also listening for any air leaks in the system." You must physically check this for one full minute. You can either keep time yourself, or you may ask the examiner to time one minute for you. During this process, tell the examiner exactly what you are doing: "I will now begin fanning the service brakes to lower my air pressure. The low air pressure warning light and buzzer should activate before my air pressure drops below 60 psi." Once the low air pressure warning light and buzzer have activated, tell the examiner: "I will continue to fan the brakes and at about 45 psi, the red tractor protection valve should pop out. Around 20psi, the yellow tractor valve should pop out." You must physically demonstrate that the safety belt is in proper operating condition. That means actually putting the safety belt on and latching it. You should tell the examiner: "The safety belt may not be ripped or frayed and it must be properly secured, mounted, and adjusted." While it may seem a bit time consuming, each and every light on the outside of the vehicle must be checked. Tell the examiner which lights you are checking, which color they should be, and that they can't be cracked or broken. How much air loss can occur in a combination vehicle in 1 minute with the service brakes applied? Be sure to memorize how much air loss is acceptable when the service brakes are applied and not applied. How should you perform a parking brake check? Parking brake check: Apply parking brake only and make sure it will hold the vehicle by shifting into a lower gear and gently pulling against the brake. "I will now perform a parking break check. I have a fully charged system and will check the trailer parking brakes first. [Do your trailer tug test here.] Now, I will check the tractor parking brakes. [Reverse the brakes and do your tractor tug test here.] 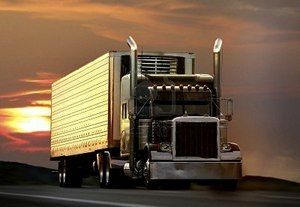 Both the trailer parking brakes as well as the tractor parking brakes are functioning normally." How much air loss is allowed in 1 minute on a combination vehicle with no brakes applied? On a tractor-trailer combination vehicle, when will the tractor protection valve close (pop out)? At about 40 psi on a tractor-trailer combination vehicle, the tractor protection valve and parking brake valve should close (pop out). The low air pressure warning device will activate before 60 psi. The tractor protection valve will close (when the valve pops out) at about 40 psi. All combination trucks are a bit different. Sometimes both valves will pop out at the same time, but generally the tractor protection valve (the red knob) will pop out first. When performing your brake test, continue depleting air pressure until both the red and yellow valves pop out. If both valves have not closed (popped out) and your air pressure is below 20psi, there is a problem in your brake system. How much air loss is allowed in 1 minute on a single vehicle without any brakes being applied? On an air brake system, when should the low air warning activate? Low-air warning devices (buzzer, light, flag) should activate before air pressure drops below 60 psi. The low-air warning should activate BEFORE 60psi. They are very picky with the wording on this. Don't say "about" 60 psi or "around" 60 psi, it must be "before" 60 psi. With a non-combination vehicle, how much air loss can occur in 1 minute with the service brake depressed? What happens if you forget to perform an air brake check on an air brake vehicle during the pre-trip inspection exam? Air brake check (air brake-equipped vehicles only): Failure to perform an air brake check will result in an automatic failure of the Vehicle Inspection Test. 1. With air pressure built up to 120 - 125 psi (fully charged system), depress the clutch and put the transmission into a low gear (keeping the transmission in gear will prevent the truck from rolling). 2. Shut the engine off, but turn the key back to the "on" position (this will allow you to hear the low air pressure warning alarm later in the test). 3. Release your foot off the clutch. 4. Release both the yellow tractor parking brake and the red trailer parking brake if equipped (remember, the truck is in gear so you won't roll - stay off the service brakes). 5. After air stabilizes (no sound of rushing air), fully apply the foot brake and hold it for one full minute (you can ask the examiner to time it for you). The system should not lose any more than 3 psi for a single vehicle and 4 psi for a combination vehicle in that minute. During this time, listen for any air leaks. 6. Begin "fanning" off the air pressure by rapidly pushing and releasing the foot brake. The low air warning light and buzzer should activate before pressure drops below 60psi. 7. Continue to fan the service brakes. At approximately 40 psi, the red tractor protection valve (trailer brakes) should pop out. Continue to fan off air pressure until the yellow tractor valve pops out (tractor brakes). 8. Put the transmission into neutral, depress the clutch, and restart the truck.